I finished my birthday dress and I have to say, I’ve learned a lot over the past couple of days. I learned that I hate sewing darts. It’s hard to get them right. Eventually I did get them right, but I’m not sure how I did it or if I can repeat it. Just when I decided that I really didn’t care if they came out pointy and high, they came out rounded and just right. I also learned how to do this crazy shoulder seam trick that feels like origami until you finish, turn it right-side out and find that it looks really neat and tidy. I learned that the ugly apparel fabrics at JoAnn are not your only choices. Way back in the corner of the store there is a whole section of quilting fabrics that are cute, colorful and fun. 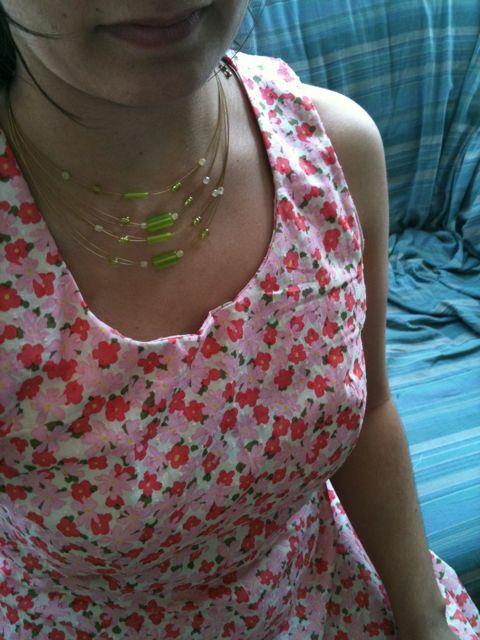 I discovered this *after* I sewed my birthday dress, so I bought some fabric to make a summer dress. So the birthday dress is finished but I’m not wearing it on my birthday. It’s just not cute enough and the fit is a little loose and strange. 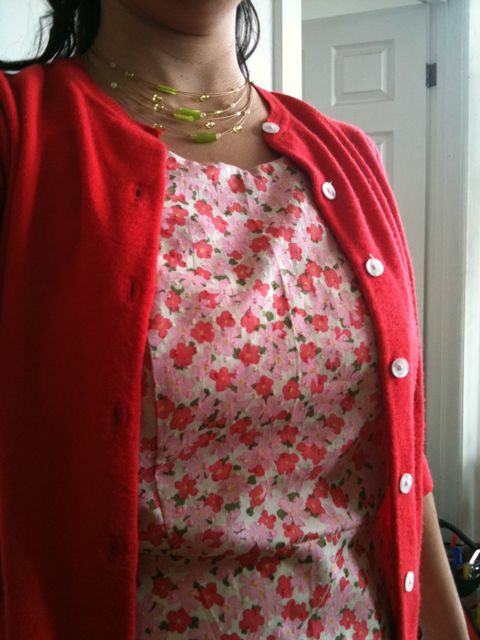 But it does match my red cardigan perfectly and I may use this dress to work on my alteration techniques.